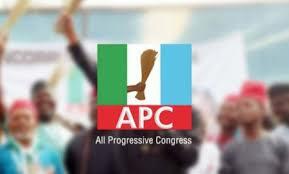 The attention of the All Progressives Congress (APC) has been drawn to a sinister plan by the Peoples Democratic Party (PDP) in Kwara State to unleash violence on our teeming members and supporters before, during and after our party's Presidential campaign rally slated to hold in Ilorin on February 4, 2019. Credible intelligence available to us also indicates that the sinking PDP is planning to orchestrate spurious charges against some of our members before some compromised courts in the state. In addition, we have it on good authority that meetings are being held with thugs, where decisions were taken to create chaos in the state any moment from now. The orchestrated violence is aimed at instilling fear in the minds of our members and supporters from coming out enmasse to honour President Muhammadu Buhari and other leaders of our party at the February 4 rally. While we acknowledge the fact that the PDP is scared stiff of our party's growing popularity amongst the good people of Kwara State and the impending doom that awaits it at the coming polls, we call on the leaders of PDP in Kwara State to rein in their hired thugs in the interest of peace and the people of the state. For the purpose of emphasis, we would like to reiterate that the coming elections in the state would not be determined by guns, clubs and cudgels, but by the thumbprints of Kwarans, who have resolved to change the political narrative of the state from decadence and underdevelopment as nurtured and fostered by the soon-to-expire Senator Bukola Saraki political dynasty, to one that promotes individual dignity and prosperity for all, which our party and its governorship candidate, Abdulrahman Abdulrazak represents. We call on our members, supporters and, indeed, all good people of the state to go about their lawful duties and not be scared of welcoming our dear president on February 4, as security agencies have been put on alert to forestall any breakdown of law and order and molestation of people before, during and after the Presidential campaign rally. We would wish to remind the PDP once again that no amount of scaremongering and dirty tactics it aims to deploy would stop its massive shell lacking at the polls. The obvious desire of Kwarans to change the political status quo in the state for the good of all and not for the benefit of a few retrogressive elements is now a movement aptly christened 'O to ge', which is total and irreversible. Finally, we urge APC members and supporters to keep the positive spirit that has characterised their conduct in this electioneering period alive, as the time for the rebirth of our dear state is at hand.